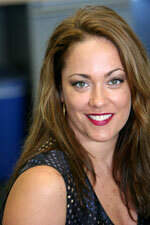 Milena O'Hara is a California attorney who joined Lori Meyers on surrogacy and egg donation arrangements in 1997. Milena feels that organized planning and structure is the basis for a stress-free arrangement. Milena has extensive experience working with international clients, and speaks fluent French. Milena feels strongly in securing every legal right for her clients, while respecting the non-adversarial nature of these relationships.